After fielding complaints about the 2017 Boston Calling audio sound quality, show organizers used L-Acoustics Soundvision software to reduce noise in 2018. Boston Calling audio issues that surfaced last year were not going to come up again, if show organizers had anything to say about it. 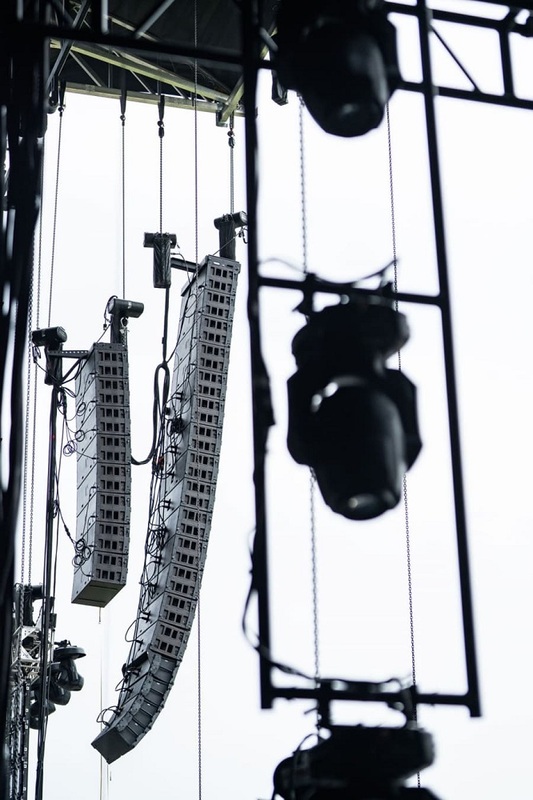 So the music festival enlisted L-Acoustics Soundvision software to help reduce noise levels. According to show organizers, the 2017 show moved to a new location—the Harvard Athletic Complex—located in an urban area. As a result, many noise complaints came in from nearby neighborhoods. Responding to those complaints, Boston-based production company Crash Line Productions utilized an L-Acoustics system designed with L-Acoustics Soundvision software, as well as K1/K2 arrays provided by Clearwing Productions. 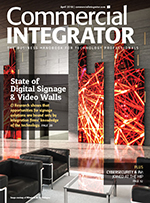 The audio consulting firm Crest Factor was recommended to the show, and the firm’s co-founder Marcus Ross analyzed the complete situation and determined L-Acoustics’ products could solve the noise issues. 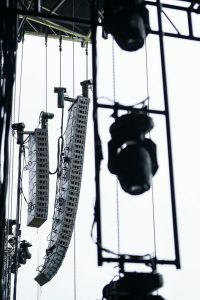 L-Acoustics Soundvision software helped Ross to design a sound reinforcement system that included specifications for speaker placement to minimize noise generated from the show. Ross’ design includes a combination of K1 and K2 arrays, augmented by K1-SBs flown behind the main arrays to create a cardioid sound dispersion characteristic. The design also features 32 KS28 subwoofers that were also setup to radiate sound in a cardioid pattern. Kara speakers were used for out fill and front fills, while the delay towers employed L-Acoustics’ K2 speakers. 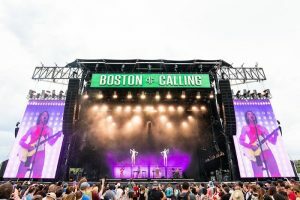 “The distributed system design allowed us to focus the SPL [sound pressure level] towards the audience and using the rejection created by the cardioid fields combined with the polar stability of the L-Acoustics K systems concentrated the Boston Calling audio on festival grounds,” notes Ross. 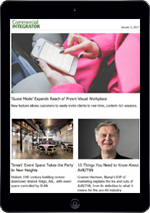 Using graphics from the Soundvision software, Ross was able to show members of the Harvard Square Neighborhood Association that the design would meet their needs for a quieter event. During the course of the show, which featured bands such as Paramore, The Killers, Jack White, Queens of the Stone Age and St. Vincent, Ross walked the surrounding show area with an SPL meter to find the event registered SPL levels below 70dB. “If the model dictated a particular loudspeaker at a specific location and angle of degree, we knew that the K1, K2 or Kara would perform exactly as it was predicted, covering what was needed to be covered and keeping the energy off of other areas,” he said. 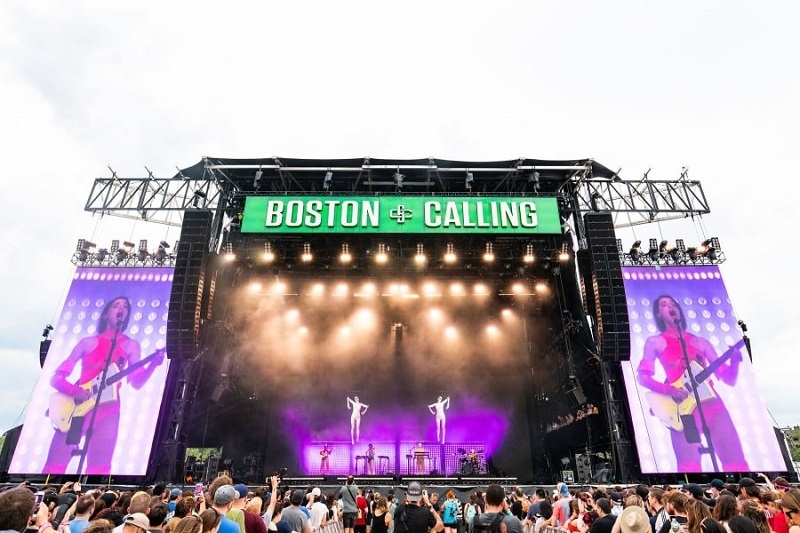 “The Boston Calling audio pattern control that we achieved would not have been able to be achieved any other way.